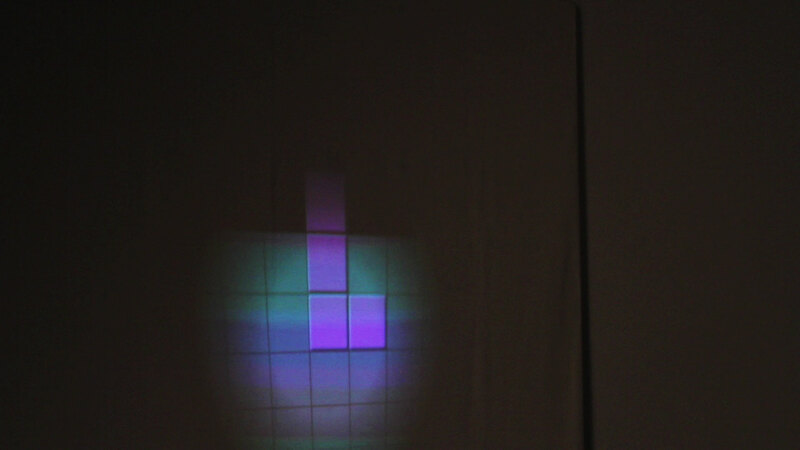 DarkTris is a variation of the classic Tetris game, which is being projected on a blank wall. 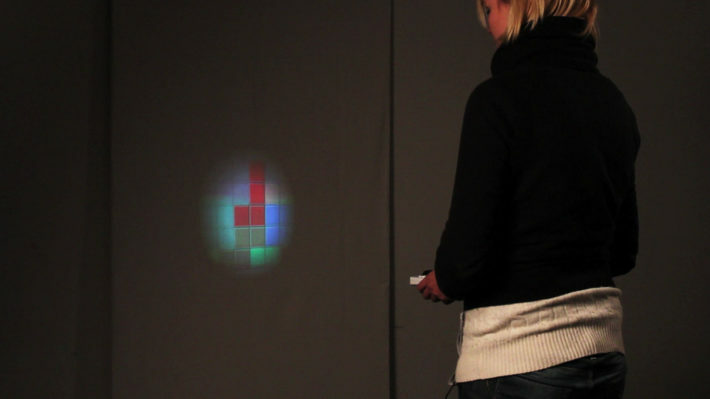 The game board itself is dark and can only be illuminated by moving the “digital flashlight”. The goal is to place as many tetrominoes as possible under a given line. Grabbind and discarding is achieved by conducting certain gestures. 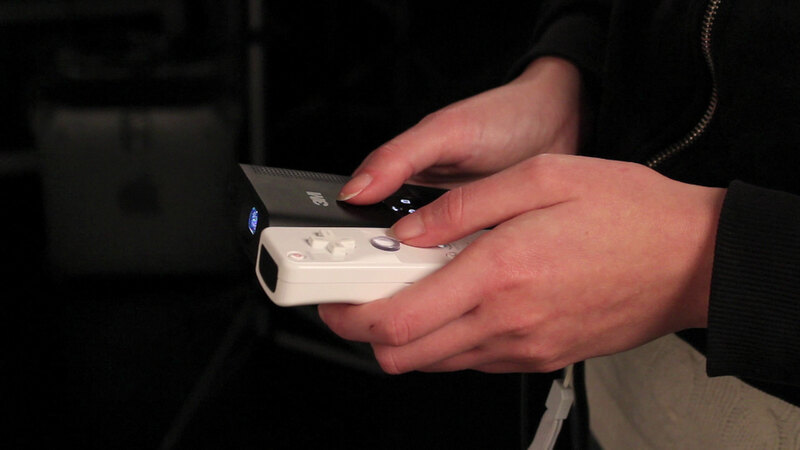 The prototype was made using a Wii controller combined with a mobile projector. The special wall consists of a matrix of infrared LEDs covered with a white sheet. Programming was done in Adobe Flash. DarkTris was developed as part of a research project in 2011 dealing with new interaction patterns for mobile projectors.